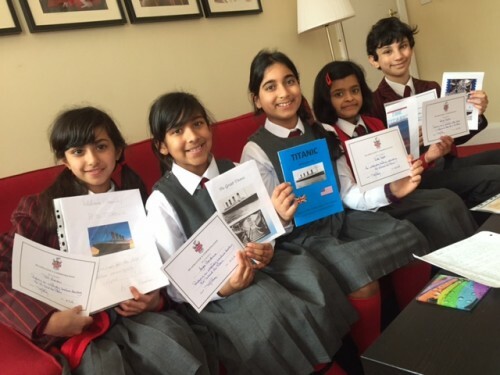 Congratulations to Kavya Kapadia, Tara Khemlani, Aryaa Chandarana, Ridhi Sofat and Sam Mewawalla on being awarded a Headmaster’s Commendation, having been nominated by Miss Cross in her English lesson. They have been researching life on board the Titanic with the aim of building brochures and various other written pieces and the outcome was outstanding! Well done!